Happy acting depress-ee Charlie was born on Valentine day 1979. Charlie’s life has consisted of one incident after another with a disproportionate bias towards the challenging to say the least but there have been many good highlight too, to be fair. He began life yellow in an incubator in Brussels, Belgium and from there has lived in southern and northern England, Australia, Canada and Africa and now Bournemouth. The yellow quickly turned to a healthy glow from an active lifestyle doing many sports his favourite being cycling, sailing, surfing and skiing. He spent his school holidays at his ancestral home on the beach at Point Clear in Essex. Over the years Charlie has earned his keep in a number of different jobs including bar tender (his favourite job so far) painter decorator (second favourite), cabinet maker (shot his hand with a nail gun) and has shamefully worked in a bank (some might call him a word that rhymes with banker for doing so). For this he is truly sorry however as a result of this mind numbingly boring time embittered as a clerk he turned his hand to stand up comedy (or else he would have gone mad) which has lead to radio. Charlie has a variety of interests including cooking, architecture, inventing and meditation however to quote his CV ‘realistically my pastimes seem to be washing-up, fixing the bicycle and checking I am on the right price plan’. A worrier, a procrastinator, a creative … a joker, a smoker, a midnight toker* some people call me Maurice’ in fact that is his third name, Maurice, Charles William Maurice Antrobus to be formal. All this has given Charlie a lot to talk about and he hopes the radio medium will provide an outlet for him being a medium relying on imagination, adrenalin and quick wit. 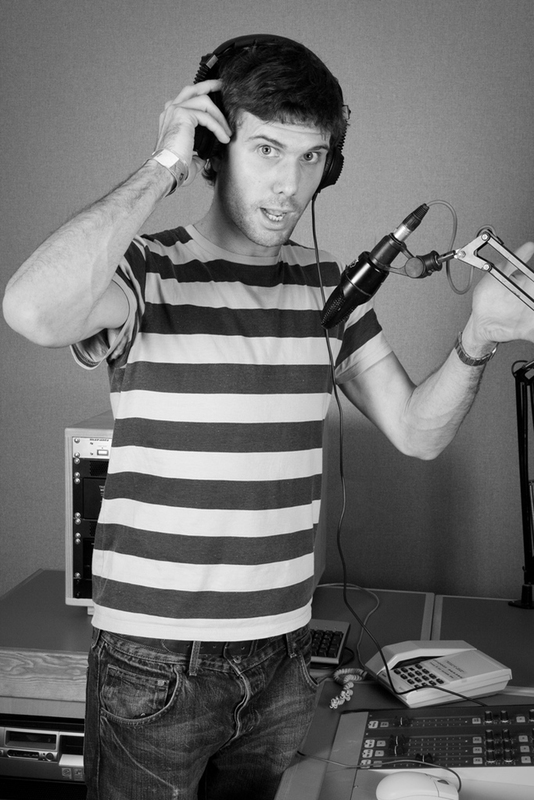 Charlie is also DJing regularly on Bournemouth University student music radio Nerve. Hi Listener – Thank you for reading this and visiting our site this is an exciting time for all of us. Anything else just ask! I hope you enjoy my contributions to BIRSt and look forward to any feedback. *The legal department would like to point out Charlie does not smoke unless he’s smoking a salmon and tokes only a weekend cigarette or two down the pub with a pint in hand. I haven’t got a clue – if only I knew you.